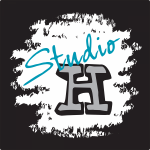 Studio H is a fine arts studio for ages 5 through adult where we strive to provide a place purely for self-expression, individuality, and creativity as we guide every student through their artistic journey. We offer drawing and painting classes in all mediums (pencil, pastel, acrylic, watercolor, and water-soluble oils) and skill levels. Each student works at their own pace and level in their choice of medium based on the programs provided through an individualized project based teaching method.